As with its UK release three days earlier, The Beatles issued their first double a-side single in the USA. 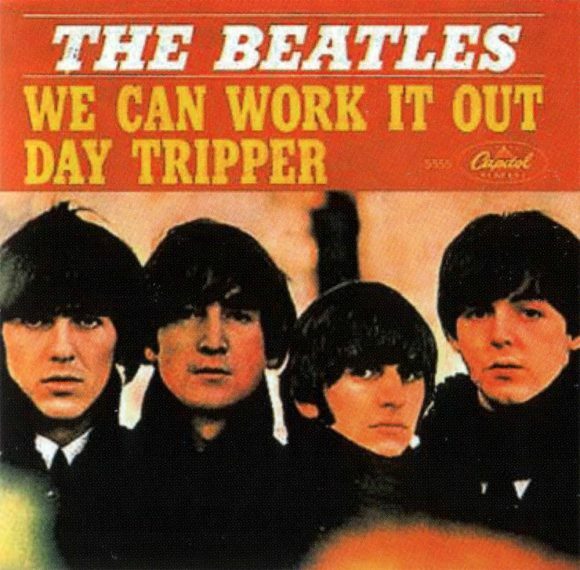 We Can Work It Out/Day Tripper proved as popular Stateside as in the group's home country, topping the charts and selling more than a million copies. Its catalogue number was Capitol 5555. The single was issued on the same day as the US Rubber Soul LP, and a UK-only EP, The Beatles' Million Sellers.